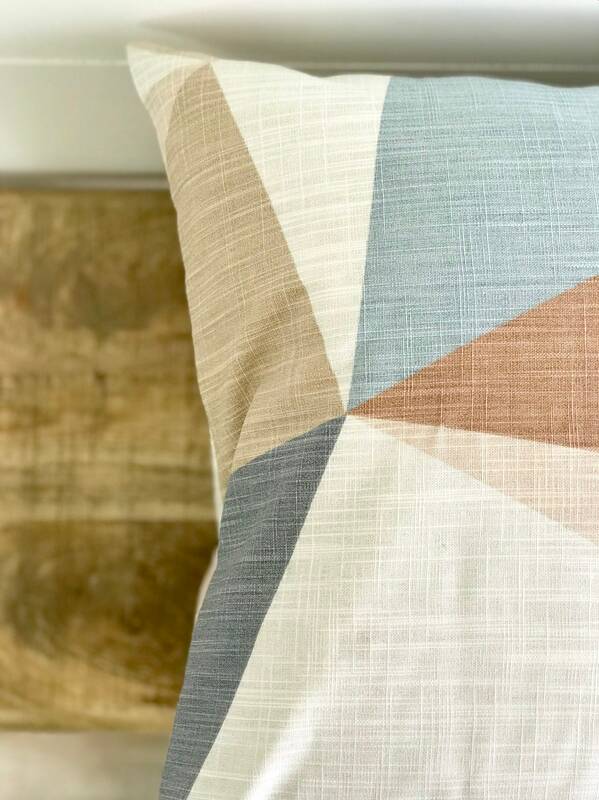 Geometric heaven! 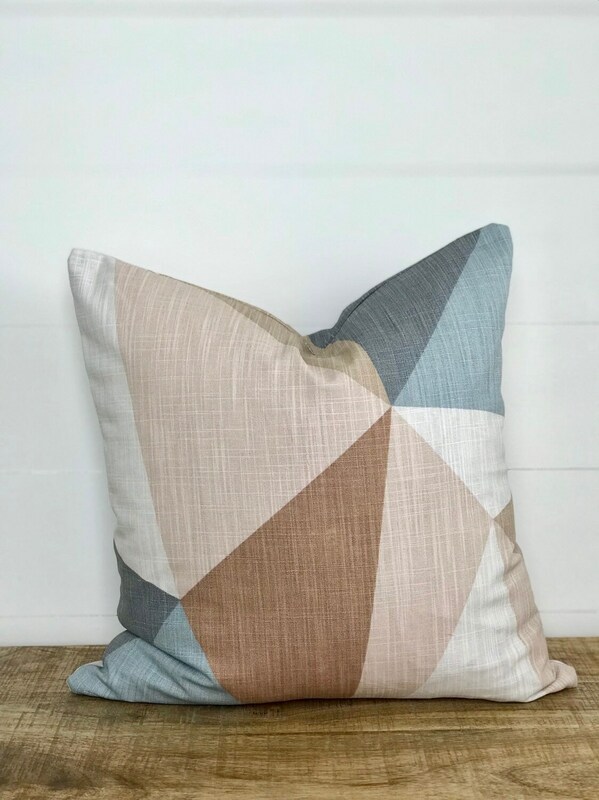 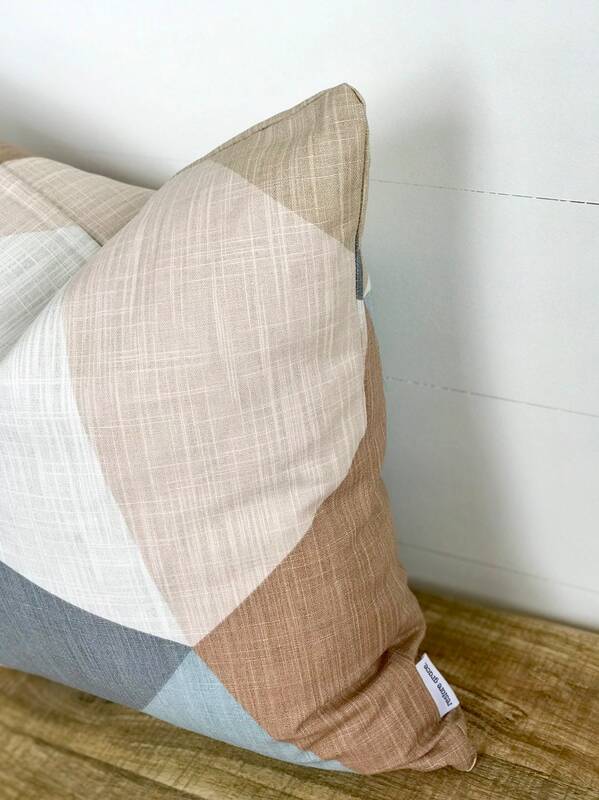 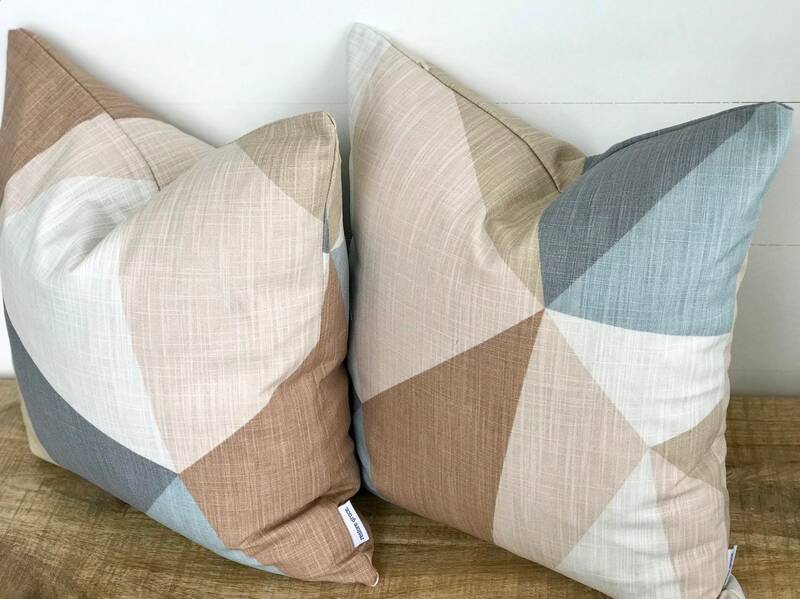 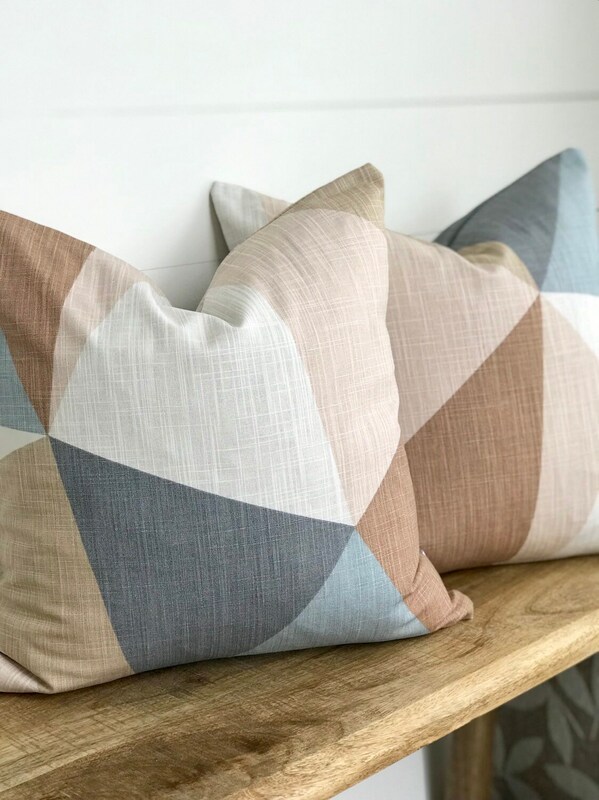 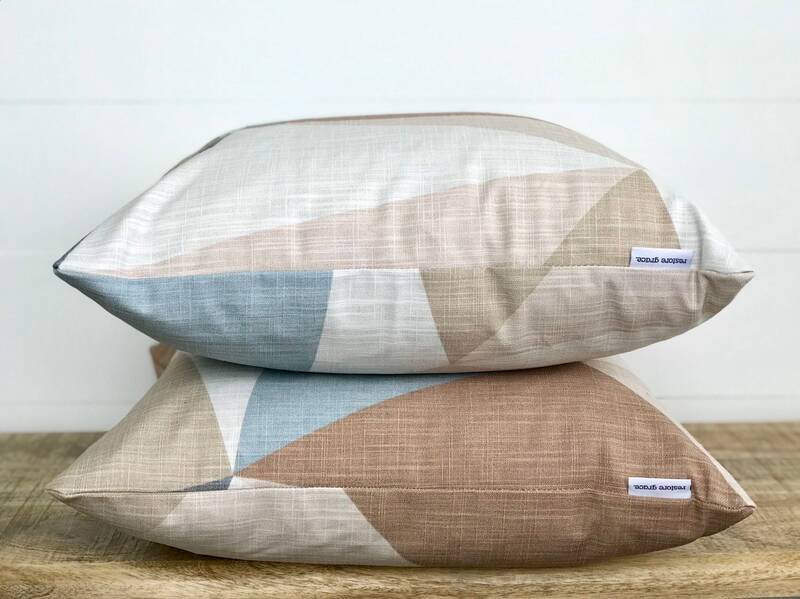 This sandstone prism cushion cover features the most beautiful muted tones of pink, blues, Browns and greys in a stunning abstract geometric print! 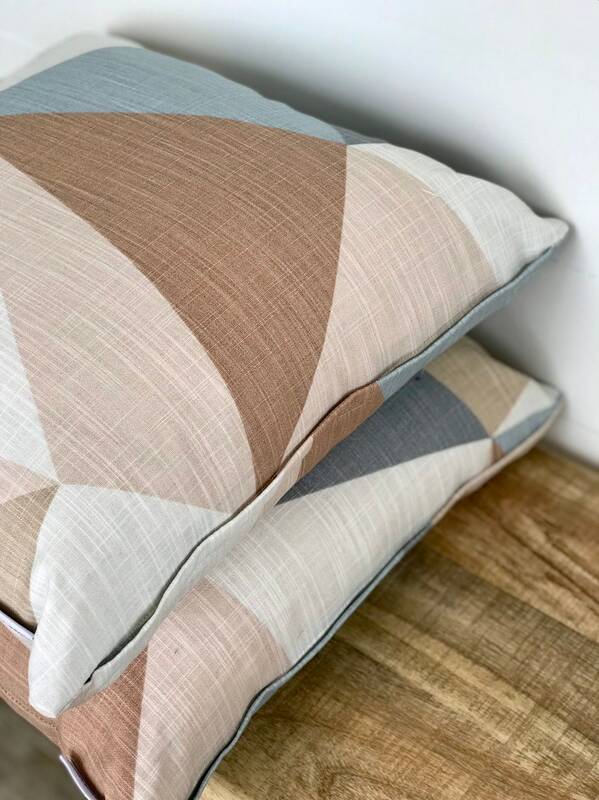 This print is modern and fun! 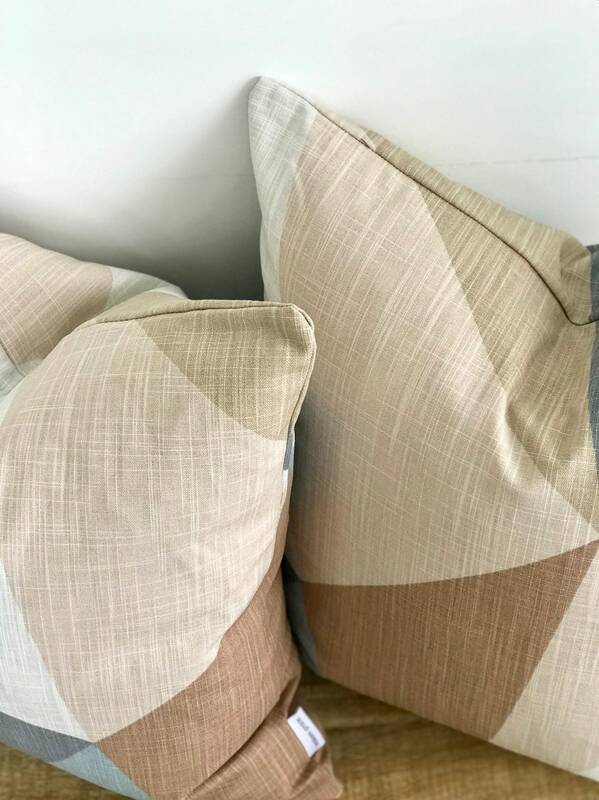 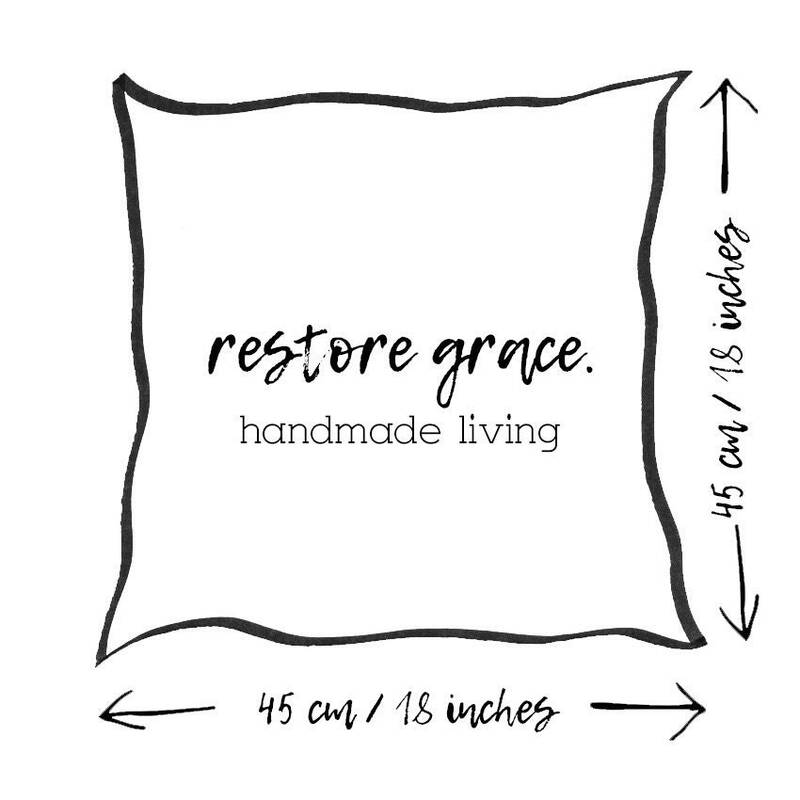 Pair this cushion with one of our stunning larger 100% European Linen cushion covers to make this cushion the stand out piece. 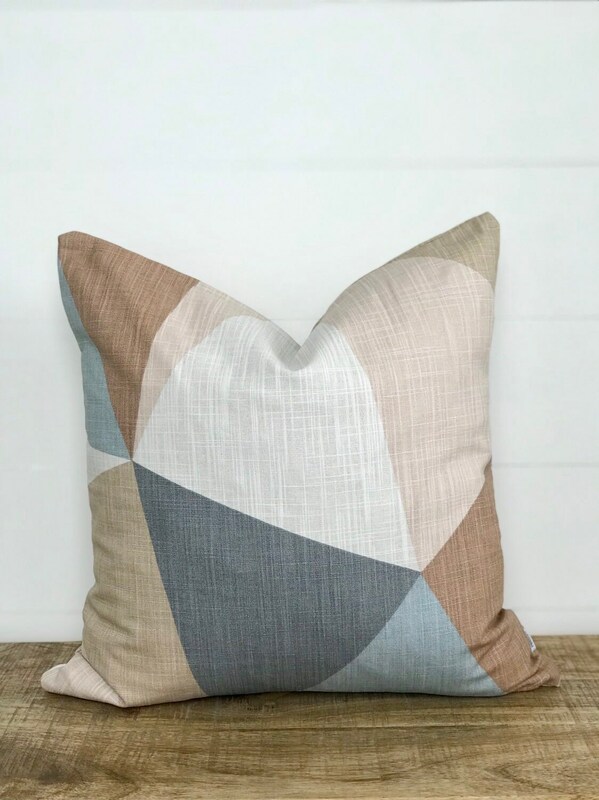 This cushion can be paired with solid Pink, Incha, mustard or blue and grey.